The European Union is one of the most talked of unions around the world. This is a political and economic confederation. It is founded by 27 states of Europe. Though it was founded in 1993, but the primary formation has taken place earlier in the mid-twentieth century. Looking back at history it can be found that the ECSC or the European Coal and Steel Community and EEC or European Economic Community developed into the European Union. EEC and ECSC were established in 1958. Then the number of the member states was only six. Gradually many other states located in Europe started joining these unions. They were gaining national forces. In 1993, the “Maastricht Treaty” was signed and the European Union came into being. The aim of the European Union is to spread “peace, prosperity and freedom” among its combined citizens. The number of the combined citizens is approximately 500 million. Though it was founded as an economic union meant for the economic development of its member states, later it grew as a political organization. Along with undertaking different trade initiatives to facilitate its member countries, it is also working for preserving the human and environmental rights of its citizens. It is devoted to serve the need of these citizens to reach its aim of spreading “peace, prosperity and freedom”. To facilitate the economic transactions of its member countries, it has started a new currency “Euro”. 16 countries who are the members of European Union use the special currency named “Euro”. The countries that are using it are: Belgium, France, Greece, Austria, Finland, Cyprus, Germany, Luxembourg, Ireland, Malta, Italy, The Portugal, Netherlands, Slovenia, Slovakia, Spain and Germany. There are some non-EU countries that also use Euro. They do it under a special agreement. They are: San Marino, the Vatican and Monaco. They are allowed to issue and use Euro coins on their own. The European Union has established a single market among its member countries by coining a standardized system of business laws. All the member countries have to obey these laws. To ensure the free movement of the people, capital, services and goods of the member states, the abolition of passport controls is introduced. All the member countries have to obey some common policies to ensure the local and supranational development. These policies are applicable for trade, fisheries, regional development and agriculture. The countries of the European Union have the Common Security and Foreign Policy to ensure the internal defence. But this union has not developed its role in the field of external relations. The European Union has a defined structure. It has three bodies. The first one is European Parliament. It is elected by the combined citizens of EU. The second one is the Council of the European Union. The third one is the European Commission. For a better judicial system, it has a Court of First Instance and a European Court of Justice. All these bodies work together to devise and enforce its policies. The on-going debacle that is the European financial crisis has left many around the world grasping for answers, and yet the progress with which the issue has proceeded is akin to waiting for a snail to cross the road. In all fairness, monetary crises, wherever they may be in the world, have no swift resolution, must less a speedy action plan to get things moving ahead. For this reason, news about the European financial crisis has never been definitive nor substantial so as to raise the hopes of many that the European Union will continue to exist as a political and economic alliance. There are, however, tantalizing signs that things may change for the better. To get more info on the issue, here are the latest news and tidbits that are critical to the resolution of the crisis in Europe. The election of France’s new leader Francois Hollande is big news for the whole of Europe. Historically, it has been Germany’s Angela Merkel and France’s Nikolas Sarkozy who were frontmen in the fight to elicit fiscal responsibility among members of the EU while at the same time helping to pay off some of the fiscal obligations of embattled member nations. Like a leadership change in this company or that company, Mr. Hollande’s election features to shake up the dynamic of the European Union leaders. At the very worst, it could limit France’s involvement in financing the debt of member nations, something that Germany is not keen on doing by itself. If that happens, the world can very well expect the dissolution of the European Union completely revamping work advice articles considering the new policies that could be developed with protectionist agenda. Greece’s recent election results also feature to put a damper in the hopes of reviving the European alliance fairly quickly. The newly elected government in June 2012 has already requested for concessions from what was widely thought as the proposed pro-austerity measures and recovery plan spearheaded by Germany and France. The general stance of the new government differs from the one that defined the pro-austerity measures prior to the approval of the Greek bailout and the failure of this government to live up to the initial commitments of its predecessor is threatening to result in an exit. Going here would be catastrophic for other ailing members of the EU as it may serve to demonstrate the worst case that can happen if member nations fail to live up to their commitments to the economic alliance. Beyond Greece, there are multiple other member nations that are suffering from serious economic issues. Spain tops the list with 29% unemployment, followed by Portugal and Italy in some order. Such widespread debt problems underscores the pressing need to look at many of the systemic issues in the EU, specifically that the Euro does not implement restrictive guidelines to check bad borrowing practices by local government. If unresolved, it is not impossible to imagine Italian food crossing the border and requiring taxation as it enters neighbouring countries. That would be a sad day for many European countries as taxes severely cripple the ability of local businesses to compete on a regional stage. The European financial crisis is an on-going saga whose resolution is far from being realized. Even with agreements that purport to control the outcome, it will take years before the problems will be fully addressed. You can sit and scuff your San Marcos flooring and yet you still wouldn’t see complete closure on these issues. It remains to be seen whether the European Council can enact powerful controlling policies to keep member nations in check. As for its effect on the global economy, that is something that we all know is highly sensitive. If the EU collapses as an alliance, it will send ripples across all markets and all economies. Hopefully, it does not get to that stage. That would be a truly sad day for global economic alliances. There has been a lot of controversy in the news lately about Greeks financial burden and how it is affecting the European Union. As it currently stands Greece is 350 billion Euros in debt that equates to $459 billion, it is obvious at this point they will not be able to pay the money back and they need more. Running a country isn’t as easy as a click of a mouse to compare logbook loans or buying drivers insurance, they need the support of the union and right now the union is trying to get further loans approved in Athens. Resistance is growing throughout the European Union with Germany fighting to get the loans approved, but there seems little progress and the arguments are just going around in circles. Many of the politicians have an executive mba or online mba, they know what trouble they are in, but the country is so deep in debt that it continues to falter. There were signs that Greeks financial status was improving and everyone was relieved to see it moving up, but once again they are in demand of more money. It seems the banks are now unwilling to meet the demands, which is understandable as they have increased the loans two or three times already and the European politicians have their own countries to worry about and are still arguing on whether to help or not, so the circle just keeps going around without any solid decisions being made. Greek will need the loans in order to run and at the moment they are so deep in debt that looking for flats to rent in Cape Town is definitely not an option for them right now. Even if they were to arrange coach hire to transport people around the country, they wouldn’t be able to pay; this is how severe the situation is. As a private individual if you are struggling with finances you can apply for a loan online, the same way you would do a search for melaleuca, but when you run a country which is now in billions of Euros in debt, you have no choice but to approach the European Union, putting a large strain on them. The European Union appears to be unable to make a decision or get a loan granted for Greece as they continue their negotiations in Athens, time that could be spent on more important factors relating to their own countries and their own financial problems. The recession has caused a lot of people and their countries to suffer with huge loans being handed out by the World Bank, the UK is also in considerable debt and is working hard to rectify the situation, but Greece seems to be stuck in a vicious rut which is causing disputes among the European Union. When you are looking for dreamweaver templates or family nurse practitioner programs, you go online and find them it’s easy and simple. You can even find the diet solution program with a click of the mouse, such a pity that fixing a country’s financial situation wasn’t as easy as this. Will the European Union Last Under the Circumstances? With many member nations of the European Union beginning to show serious signs of economic meltdown, the fate of this unique economic alliance is becoming a question now more than ever before. If the last few years are going to tell us anything, it is that there is a great divide separating the “haves” and “have nots” of Europe and in the face of the current economic crisis, that divide is only projected to grow; and its not as if that divide can be hidden by any of the best wrinkle cream on the market. If we ask the question “Will the European Union last under the circumstances” here, remember that this is not the first time this question is being asked. While leaders like French President Nicolas Sarkozy and German Chancellor Angela Merkel continue to support and espouse the strength of the union, it is no secret that the current financial situation is showing the cracks and weaknesses of this once thriving alliance. You do not need masters of healthcare administration, masters of accounting, and masters in nursing programs to tell you the issues. These are plain for everyone to see. Firstly, there are no regulations covering fiscal responsibility particularly in the case of government borrowing. While the Union maintains a single fiscal policy when it comes to the common currency, every member nation is free to formulate its own borrowing strategy. From this came out the case of Greece which had to be bailed out because it can no longer meet its debt responsibilities. Italy, Portugal, and Spain among others are not far behind. Secondly, the obligation of addressing all these demands lies squarely on the shoulders of the “haves” and the amount to be paid by each contributing nation remains up for debate. The write-offs for Greece are only skin tightening at best, but it does not solve any of the system issues that have created the problem. Consequently, the system does not provide for an avenue to strategically pay off the issues and France and Germany, willing as they may be to foot the bill, are at the breaking point of crying foul over the fiscal irresponsibilities of the other members of the Union. If the European Union is to last under the circumstances, then it needs a total medical detox of sorts. This begins with a common borrowing policy that France and Germany are keen on working out in the next few months. There will be no more government control of borrowing rates; each change in the interest rate will be subject to the review and approval of the union. Likewise, there has to be a clear system for sharing the financial responsibility associated with paying off the debts incurred by members states. A plan has to be put in place to ensure that the payment strategy is worked out and workable, not to mention fair to all concerned members. Instead of calling the mesothelioma lawyer, perhaps it would be better to prevent the mesothelioma in the first place, and that is certainly what France and Germany are looking to establish. Whether the European Union will last or not under the current circumstances depends on the work that will be accomplished in the next few months and years. Unless a clear strategy is formulated, it would be hard to pressure France and Germany to not back out of the Union resulting to the need for a ppi calculator to establish the claims and disband what is currently already a very good model for financial alliance. For this, the whole world is watching and every financial chief is grasping on a government cell phone ready to make a call to respond to what will happen. The challenge has been set; the full response is yet to come. On it rests Europe’s future as an alliance or as individual countries fighting to do their own business in an even tougher economic environment. Was forming the European Union a Good Idea? The European Union has 27 European country members. It was a movement that was created after the Second World War to support the member countries in terms of economic growth. When they formed the somewhat organization among these countries, they were thinking about helping each other to create a better market, so, was it really effective? You can read article here to learn more about the treaties and provisions of the said political union. One of the provisions that the union have successfully implemented is the use of a single currency for all the member countries, in this case, Euro. You can then buy top wrinkle creams in Luxemburg; you can use the same money when you buy it in Belgium. You can even use your best buy coupons in all of the 27 countries, as long as you use them in participating outlets. You don’t have to get an online finance MBA degree to understand that this provision made it easy for all of these countries to trade. It also made each country dependent from other member countries in terms of manufacturing products and labor force. The union also serves as a debt management planner just like the debt help Scotland. Each country helps each other by providing loans to other countries so that they can fund other projects that would improve their city in terms of infrastructures, tourism, etc. Cheating on words with friends is not a virtue that the union promotes. They actually encourage that the countries treat themselves as friends to be able to work altogether for the benefit of every member. It might be a political union but the programs that the movement should pass are projects that would create a good impact for the European community. A good example is the improved education system throughout the continent. The union even promotes its universities and colleges to international students to provide culture diversity. They also have several programs where in you can travel to different universities while finishing your degree program. For example, you can start your MBA healthcare management degree in Portugal and then finish it in Spain. The European Union has had great effects to the citizens of its member countries. To date, Luxemburg is actually the richest country in the world, they can provide the highest salary for its workers and they have a very low crime rate. More than anything else, though the union has provided its citizens with great opportunity, the cooperation and the good communication between every member country is the key to the success of its programs. Thinking about their citizens sake first and not about themselves made the union a successful organization that gave good results, and hopefully, even better as time goes by. Wondering which is the biggest mistake the European Union has done so far, you are probably looking for some sold arguments to a certain scenario and this article should aid you discover more information on this matter. After all, learning the answer to this question does not at all resemble finding out the answer to the simple question does Amazon ship to Australia?. On the contrary, it is not even a matter of click here to find out more types of stories, but rather a serious issue that needs to be addressed properly. You might now believe that you are going to need to hold on to a degree in finance and you will not even have to have graduated from some top online MBA schools in order to clearly see the point here. But this is not entirely true. For instance, you need to understand the fact that the Italian and the Greek issues you might have heard all about in the news are the main factors that are probably going to cause the sinking of the Euro zone and the European Union in itself. These countries needed more and more money to keep their people happy and their creditors well fed, so the European Union agreed to close its eyes, play the role of some smart and sturdy pull up bars for these two countries and play blind in front of their debts. Therefore, accumulated debts seem to be the one major mistake of the European Union. The downgrade of the Italian and the Greek debts has led to the current problems the EU is currently facing, which could be eventually leading to the entire collapse of this particularly strong financial zone. After having approved a huge 440 billion euro bailout fund for Greece, Italy, Spain, Ireland and Belgium, the European Union hardly feels like having passed form some RN to BSN online programs to some quantum physics online programs. The heavy load that has been placed on the shoulders of EU officials is making them state that they are going to need at least 800 billion Euros in order to stop the self-destroying process. These bits of information should aid you understand the fact that the European banks which are currently and constantly struggling against the lack of enough capital will be even more affected. Hence, European consumers will eventually stop buying and also stop paying their debts. Impressively large amounts of money are thus needed in order to support the future existence of the Union, which is currently and also seriously being put under threat. Also, the fact that not all member states of the Union actually agreed with the covering of those huge debts of the previously mentioned countries, hence leading to more tension inside the Union is also part of the blame for the current events. Unless you have been living under a rock so far, you must be familiar with the Fender stratocaster, the world-famous electric guitar that has made it into the homes of millions of music passionate. Such a guitar is normally costly, and the European crisis of the 2012 summer is highly likely to leave a lot of music fans drooling for the instrument. If you want to know more about this particular crisis that is occurring on the Old Continent, you could go ahead and read more within the next few lines. One example of information you might be interested in knowing refers to one of the most recent developments in the area: Spain has agreed to accept the bailout that has been recommended to it by both Europe and the United States of America. The European finance ministers decided to offer and aid to the Spanish banks that are in much need of cash and the total sum could go as high as $125 billion. Following previous news, it would seem that Spain has made it on the list of the largest countries in Europe to accept emergency acceptance, on number four. According to specialists, Spain seems to have overcome its pride and accept the helpful financial package that is very likely to help the country and draw fewer strings to it, as compared to Greece and Portugal. The Spanish people should regard this aid as a special European medical aid program and use it in order to improve their economy. Other essential news you should know about the European crisis could refer to the following: Europeans are not advised to get any cash advance online aids using foreign currencies, as the instability in the area is making the American dollar or the Euro subject to many changes. The European Central Bank has struggled to leave its interest rate unchanged, and it emphasized the powerful tensions that are to be sensed in the Euro zone. The Greek problem and the permanent danger of the Helenic people running out of money by July are also not making things any easier. Solutions need to be found fast and they need to be strong enough to hold the area together, just like floor tape is needed to change of floors and keep the new ones well glued together. Also, expensive male enhancement products are less likely to represent an attraction for the German people, as Germany has recently indicated at the beginning of June that it is ready to accept a grand bargain and would help pout the troubled Euro partners in the area, provided they would receive more centralized control. German authorities are planning to combine a lot of the bad debts in Europe into a single common fund and they are prepared to see the debt be paid over a 25-year time frame. The European Treaty was put in place with a host of major objectives. Each objective is designed to improve quality of life throughoutEurope. There is also a section on foreign policy and what theUnionhopes to achieve throughout the world. The European Union uses it’s objectives to help guide the union and put necessary practices into place. You can continue reading to find out more. The main objectives of the European Union is to promote peace, along with ensuring it’s people’s well-being and maintaining the values of theUnion. The Unionworks hard to follow it’s objectives including freedom and security with justice for all residents. They work to ensure a free and undistorted competition and a sustainable development through price stability and economic growth. Finding information about the Unionis easy on line, do a search the same as you would for Scottish Trust Deed or st. louis real estate. Other major objectives of the union include ensuring full employment, improving environmental quality and technological advancement. They work to fight discrimination, promote social justice and child protection rights. You can think of the European Union as a muscle maximizer as they safeguard cultural heritage throughout the European areas while working hard to achieve their objectives. When putting the European Treaty in place the objectives were not solely dedicated toEurope, they worked hard on a foreign policy as well, which is worked at on a daily basis. Their foreign policy ensures fair trade. They want to eradicate poverty throughout the world while protecting human rights. They want to develop an international law, a sustainable environment and a sustainable development between countries while promoting peace. This policy has not just been written down on a piece of paper and have lab rats following the rules. These are thought out to not only promote the well-being of people residing within Europe, but enable these people to work with other countries whether it’s through trade or working to improve the quality of life in suffering areas. If you go on line and search for tom hill or quibids, chances are you won’t find anything about the European Unions objectives there, but they do play a part, through these sites they offer free trade and fair trade throughout the world. 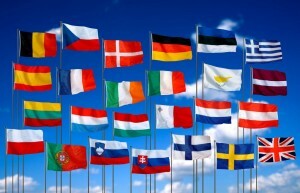 Many countries are happy working with the European Union as they work towards their objectives, using them as guidelines in the daily development of the area.Europehas close ties toAmericaand other countries where they import and export goods, work together to develop suffering areas and form a sustainable environment ensuring our children have a safe place to grow up in the future. Through these European Union objectives, prime ministers and presidents are able to work together to develop the ideals that the Union is working towards. Through technological advancements the country will be able to enjoy a stable infrastructure where they can promote their stable prices and enjoy economic growth. We have all heard about the United Nations, but does anyone really know what there duties are. They just seem to be there and we hear about them from time to time, they seem to be behind the scenes, but they have some real pull, they make some major decisions that affect everyone around the world. The United Nations is a supreme group that facilitate international law, in other words this group facilitates the entire world. There are currently one hundred and ninety three states that are members of the group. The United Nations is responsible for facilitating international law. When countries work together and one of them pulls out breaking the clause of an agreement, the United Nations is there to act as facilitator and mediator. They are responsible in ensuring that all the countries work together under one law. You can learn more online. The United Nations is also responsible for the security aspect of the world. They work to ensure that security measures are in place to keep everyone around the world safe. This means they are there to facilitate when wars break out between countries and they will try and resolve the issue, keeping the people secure. Additional info can be found online. This group of top individuals are also responsible for ensuring social and economic development in all countries. They work closely with countries to assist them in improving their economy and ensuring better living and working conditions for the residents. This is not a new service, the United Nations have been working on economic development for many years. Your human rights can be protected by this group. They aim to facilitate human rights when everyone has turned their backs. So often you will find that even with their donated working capital, they will stand up and make a claim for human rights. While not everyone may agree with them, they have the pull to make decisions on where people should live to keep them safe if they are not going to be awarded a fair trial in their own country. Everything about the United Nations is working towards World Peace. While this is not always possible, countries can take advantage of their services to ensure the smooth running of their country and smooth negotiations with other countries. From laying down the law to ensuring a countries security and from economic development to human rights, the United Nations have a lot of duties on their hands as they work to world peace. They basically manage the world. This is the easiest way to explain it. They govern the law, they help suffering countries and they lay down the law when it comes to human rights. They are the governing body of the world. With their court system for international law and their security teams, they are able to ensure the everything around the world runs as smoothly as possible, making it a better place to live. Benjamin Franklin, famed scientist and one of The Founding Fathers, said it best when he said “There was never a good war or a bad peace.” The two World Wars that have gone through have both been fought for various reasons that were necessary, one way or another, but the destruction and casualties that followed may serve to negate that idea. You don’t need a professional institute to spell out the destruction that is caused by the World Wars but if you want a primer, then there are facts that are very hard to dismiss. World War I. The First World War happened from 1914 to 1918 and was fought between the Allied Forces of France, Russia, and the United Kingdom against the Triple Alliance of Germany, Austria-Hungary and Italy. You don’t have to keep reading to know that this war was a major scourge to human life affecting more than 37 million people. The total number of deaths was estimated to be 16 million with another 20 million wounded. The destruction of World War I was among the most widespread of the major wars as it was fought on many fronts. World War I saw too many countries who chose to dismiss the lig tv izle mentality and were instead caught in the crossfire. Wars were fought as far south as Africa with French and British forces waged war over Togoland in what is now modern Togo and Ghana. Destruction was also widespread in many locations including Serbia and even in the Asia Pacific as far as New Zealand. The financial and political destruction that the war left in its wake was also mind-numbing as a total of more than 5,000 ships and 199 submarines were sunk during the war. World War II.If World War I sounded like it was the most horrific war to have ever happened based on destruction and casualty alone, the toll from World War II was even more sweeping. It was equivalent to many bulging discs acting up at once, killing as many as 60 million people and affecting about 50 million others. All in all, more than 2.5% of the world’s population at that time died from the war. The financial implications of the war was also widespread. Germany, Poland, and many sections of France and the United Kingdom were leveled to the ground. Russia was not spared, and while Stalin did not embrace a “take it and leave it” attitude, he suffered more before his country responded. In total, 33,700 planes were lost over Europe during the period as well as 3,500 Allied merchant ships and 783 U-boats sunk. More than 57,000 tanks from Russia alone were also lost in the war. Those numbers did not yet include the cost from Japan waging war in the Pacific but you could tell one needs more than a truck accident lawyer to get that kind of devastation and destruction in order. But perhaps the biggest awakening to the senselessness of World War II were the two nuclear bombs, Fat Man and Little Boy, detonated over the Japanese cities of Nagasaki and Hiroshima. Those bombs brought the war to a halt and the idea of nuclear deterrence was set into motion. What really happened in causing World Wars? Throughout history, we have put efforts to live in peace and harmony with each other. Although we inhabit the whole planet across all 7 continents, we somehow found ways to have mutual interaction through trading and migration. More powerful nations slowly expanded their empire and degree of influence to neighboring countries or to unchartered territories. Once in a while, conflicts among nations erupt. To date, two costly world wars have occurred in the 20th century: World War I and World War II. Why do world wars occur in the first place? According to Wikipedia, a world war is “…a war affecting most of the world’s most powerful and populous countries.” When multiple countries on multiple continents are involved, world war occurs. In the Second World War, battles were fought in multiple theaters, such as the European Theater and Pacific Asian Theatre. Before the outbreak of World War I in 1914, there were many large scale wars that involved several countries spanning multiple continents. For instance, Ramesses II, the Egyptian pharaoh who reigned in 1279-1213 BC, embarked on many battles to reclaim territories held by the Nubians and Hittites as well as to secure the borders of Egypt against external attacks. WWI began in July 28, 1914 until November 11, 1918. Battles were fought in Europe, Africa, the Middle East, the Pacific Islands, China, and off the coast of South and North America. The United States, United Kingdom, Russia, and France fought the European Central Powers of Germany, Austrian-Hungary, and the Ottoman Empire. War was seemingly imminent as conflicts and hostilities between the great European powers were building up for decades leading up to the war. On June 28, 1914, Archduke Franz Ferdinand of Austria, heir to the throne of Austria-Hungary, and his wife Sophie were assassinated in Sarajevo by Gavrilo Princip, a Yugoslav nationalist. The assassination became the trigger for World War I as the major powers were at war within weeks and the conflict later on spread around the world. World War II erupted in September 1, 1939 and culminated in September 2, 1945. Battles were fought in Europe, Pacific, Atlantic, South-East Asia, China, Middle East, Mediterranean, Africa, and briefly in North and South America. The Second World War went off in Europe because the Allied Powers of the USA, Soviet Union, UK, and France (with the cooperation of other countries) didn’t want Adolf Hitler and Nazi Germany to inhumanly dominate Europe. In Asia, Allied forces waged war with Japan as it started its own plans of ruling East Asia. Fears of a Third World War came about when the USA had a tense Cold War with the Soviet Union in the late 1940s until the early 1990s. Generally speaking, world wars happen when good forces try to prevent bad forces from doing much worse or someone hack facebook. To get more information about world wars, view client history. There are many sites that deal with world war history. You might even get to read some dentist reviews during WWII. How is the European Union comprised? © 2019 Jidtunisie. All rights reserved.